Unfortunately, as the new year goes on, many people do not stay committed to their new year’s resolutions. The common ones include eating healthier, exercising, saving money, or other goals along these lines. When making any goal for oneself, it’s essential to keep in mind why you want to achieve that goal and exactly how you will do it. This will help you to stay connected to your goal and to continue pursuing it. For anyone who is still figuring out their goals and priorities for the new year, below are a few suggestions for new year’s resolutions focused around the theme of mental health and wellbeing. Keep in mind that these resolutions are adaptable to what best fits your own personal aspirations, and they can be incorporated at any time in one’s life. What better time than right now? Often with the fast pace of life and busy routines, it’s easy to get too caught up in work. To avoid feeling overwhelmed by everything, take time to reflect on what you have in your life and what you are grateful for. This will also allow for you to appreciate “the little things” and be more conscious of them. 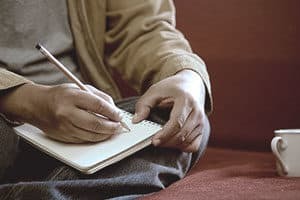 For example, one entry in a gratitude journal may be about appreciating the weather where you live or appreciating your bond with a family member. Going along with our busy lifestyles, it may feel easier at times to push away emotions that arise –– good or bad –– and just keep pushing forward with our habitual routines. However, being more open to showing your emotions will help you deal with any internal challenges that you may be facing. This will eventually benefit you, as the struggle of constantly pushing emotions away will disappear, and you will be able to confront what you are experiencing or feeling. In the long run, being open to showing emotions will prevent a build-up over time, and you will feel freer to express yourself as any changes in your mental state develop. With any new habit or practice that you introduce to your lifestyle, it’s important to be patient with it. 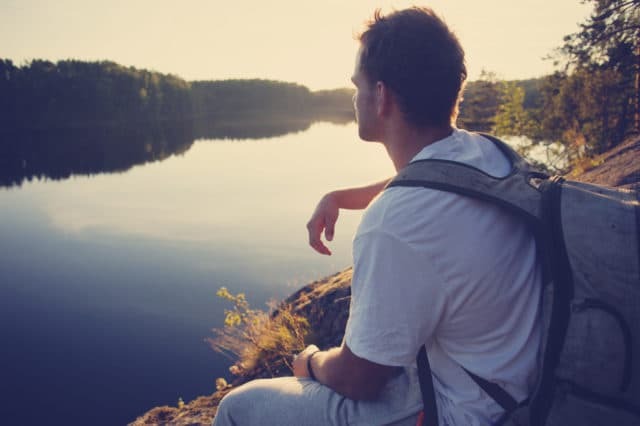 Many initially feel that mindfulness does not help. However, you may see different results if you incorporate mindfulness practices consistently over a longer stretch of time. On this web page you will find a host of resources –– including easy-to-use websites and apps –– for mindfulness and meditation. Choose the apps and websites that work best for you, and try it out. Even doing 5-10 minutes per day consistently has shown benefits. 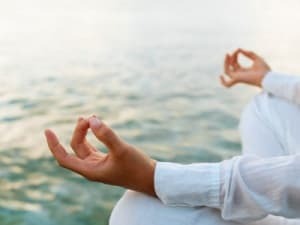 Practicing mindfulness regularly has been proven to elevate your wellbeing and overall quality of life. With the modern world growing increasingly more busy, many of us forget the simple joy of reading and being immersed in a good story or delving into an interesting topic to learn more. The benefits of reading are endless. Reading can serve as a respite from the world, a way to escape everyday troubles and indulge in a good story. Reading can also serve as a path to learning more about yourself or about the world around you. Make a list of books you would like to read or topics you would like to learn more about in the new year. Then, visit your local library to see what books they have on the topics you chose. Getting rid of clutter, junk, or anything excessive within your living space and re-organizing will help you have more peace of mind at home. When the items within your space are easily accessible, finding what you need becomes easier, and thus, you spend less time in search for things. Stay tuned for Part Two of this series with more suggestions on how to be well in the new year.